X-Factor gets embroiled in a war on an alien planet. Compelled by some unknown force, Ship suddenly takes off, blasting into space. It creates a dome to protect X-Factor, but Marvel Girl smashes through it, possessed by the memories of Phoenix to fly into space. Working together, X-Factor manages to retrieve Marvel Girl and repair the dome just as Ship enters hyperspace. Emerging seconds later but light years from Earth, X-Factor finds themselves in orbit around an alien world. Just then, a massive Celestial appears and silently takes Ship in its hand. 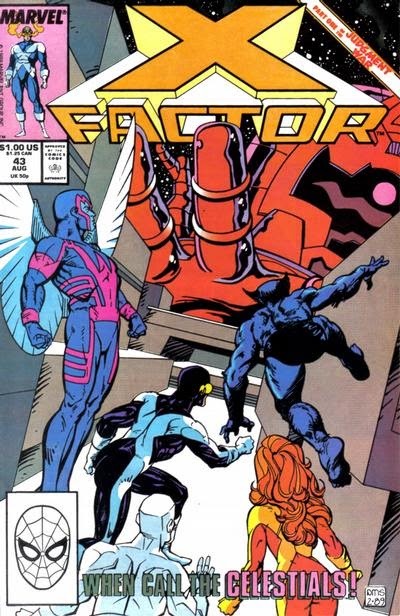 Suddenly, X-Factor finds themselves transported down to the planet, landing in the middle of a massive battle between two different groups of super-powered individuals. The New Mutants battle Freedom Force en route to being sent to Asgard. The New Mutants, still watched over by Dr. Strange, work together to gather up Dani and the massive ice machine keeping her fiery rampage in check, determined to get her back to Ship before the machinery fails. Watching from Hel, Hela plots to use the Valkyrie against Odin and get revenge on Thor, and moves to keep the pressure on the New Mutants. Back on Earth, Freedom Force arrives in Manhattan, called in by reports of Dani's attack and believing Rusty is responsible. 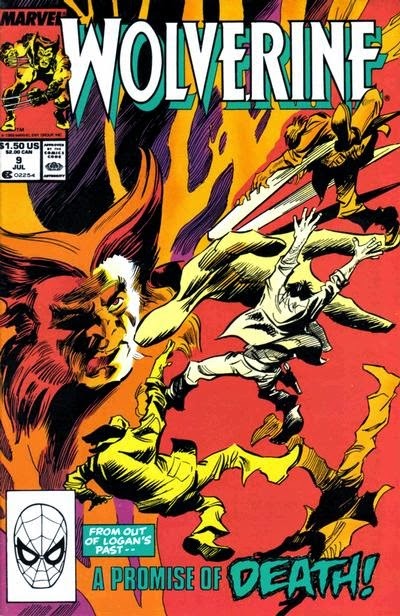 They attack the New Mutants en route to Ship, with Destiny insisting Rusty must be apprehended to ensure Freedom Force's survival, and both teams land on Liberty Island. 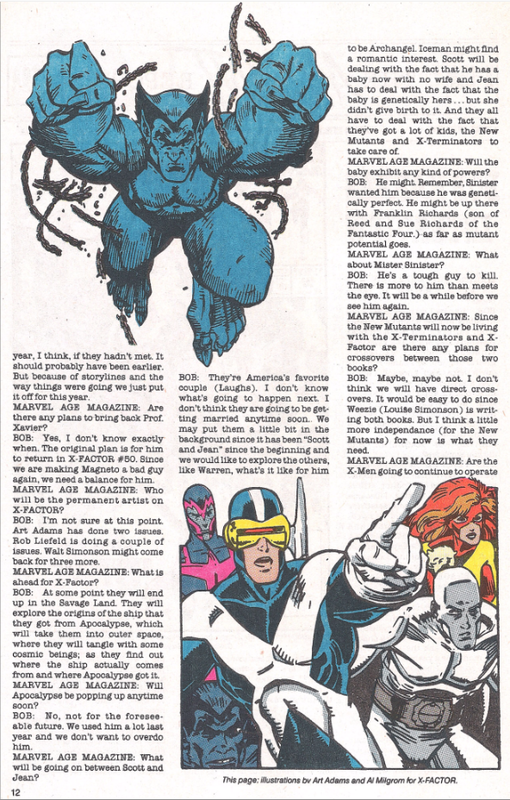 Just as Master Mold is about to blast Rogue, the X-Men arrive, called by Psylocke and teleported to New York by Gateway. 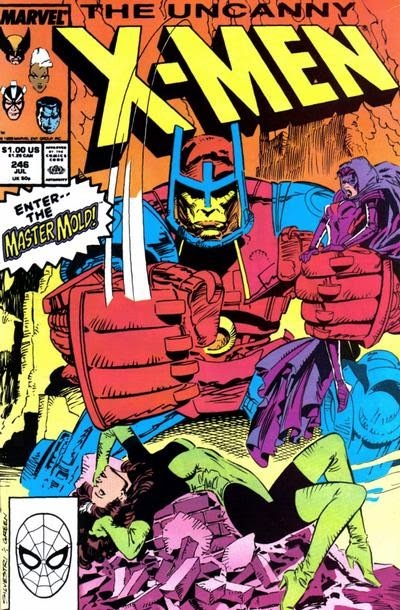 Though there is nothing they can do to save Senator Kelly's wife, mortally wounded helping Rogue, they're able to destroy Master Mold, aided by their invisibility to his sensors. Back in Australia, Jubilee explores the town but decides to stick close to her hiding spot for fear of getting caught. In New York, the seemingly-destroyed Master Mold re-constituents himself. His integration of Nimrod's programming complete, he's now able to detect the X-Men and hold his own against them. 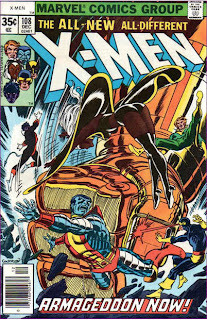 As Dazzler stumbles into a crater created by a reflected blast and discovers the Siege Perilous in her jacket pocket, Rogue absorbs Colossus' mutant power, transforming her flesh into steel. She flies into space, then comes racing back down, her speed aided by gravity, and crashes into Master Mold with the force of a meteor. So, everything came to a head pretty quickly, huh? I figured the Terminus group would be hunting our protagonists for a good half of a season. Instead, they barely got two episodes. Not that I'm complaining. Not only did everything come to a head quicker than I thought, it came without much fanfare. The Terminus group tried to set a trap for Rick's group. However, Rick's group (predictably) flipped the tables on them, Gareth gets hacked by the machete Rick promised to hack him with and that was that. The anticlimactic nature of the Terminus/Rick's group showdown fit with this episode. "Four Walls and a Roof" was mostly focused on character work. In the end the Terminus group weren't so much antagonists as they were catalysts for Rick's group to look at who they currently are and what they may become. 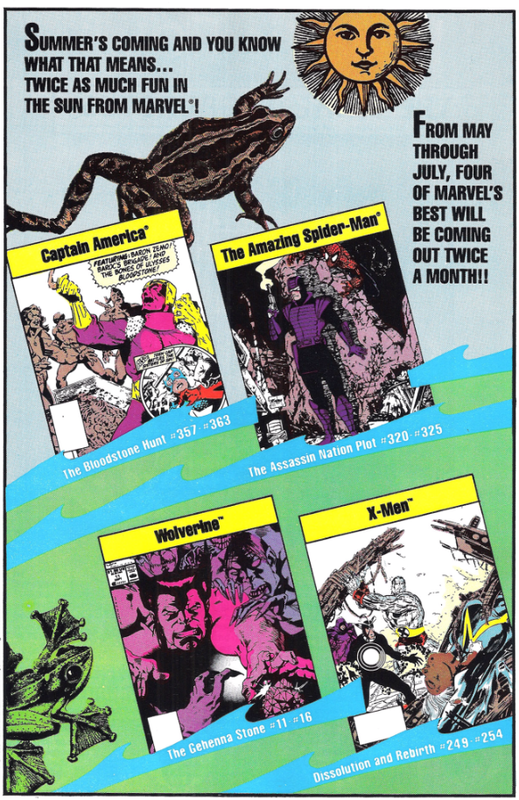 It's a relatively "normal" month, as we stay mostly within the realm of the five regular series. But we do welcome Jim Lee to Uncanny X-Men (only as a fill-in artist...for now!) as all five series kick off long, multi-part stories and both X-Men and Wolverine begin bi-weekly shipping for the summer. 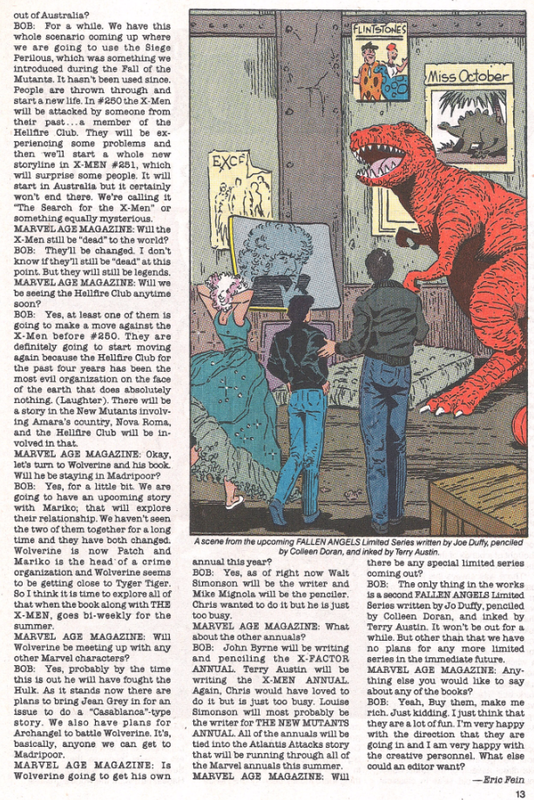 Also, just for fun, here's two pages of an interview with Bob Harras from Marvel Age #78 (on sale May of 1989), about upcoming stories in the X-Books. It's kind of interesting to see the stuff that comes true, and the stuff that doesn't. "I Must Go Down to the Sea Again"
Pulled by a tractor beam cast by Ghaur, Beast grabs onto a flying, comatose Marvel Girl. Desperate to break the pull of the beam, he manages to get through to Jean enough for her to use her telekinesis to free them and send the two teammates crashing into the ocean, much to a watching Ghaur's dismay. 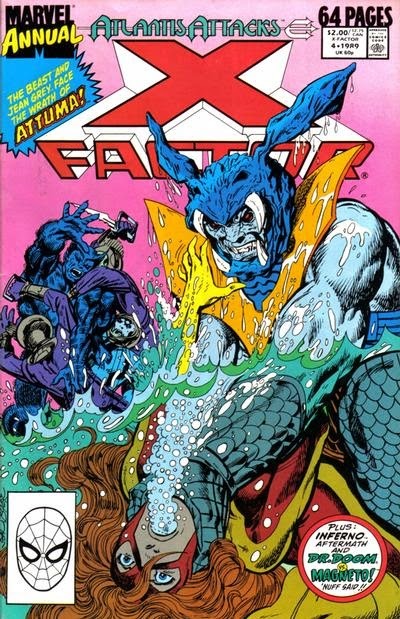 In the water, Beast and the still-comatose Marvel Girl are attacked by an Atlantean force led by the warlord Attuma. Recognizing Marvel Girl as Phoenix, he claims her as his own and orders his troops to kill Beast. However, Beast is saved by the arrival of Attuma's daughter, Andromeda, and her rebel forces, and they agree to work together to thwart Attuma and rescue Jean. The X-Babies enlist Kitty's help saving them from Mojo. 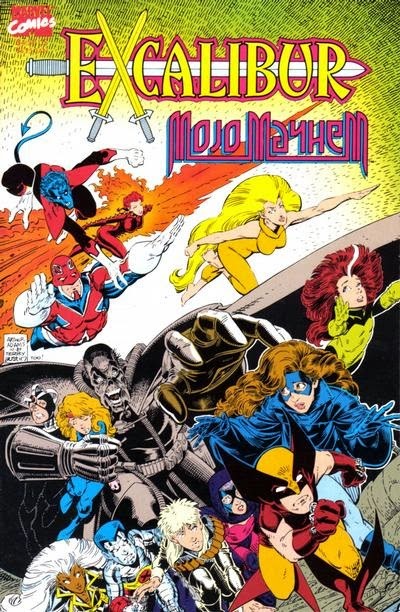 Inkers: Terry Austin, Bob Wiacek, and co.
On Mojoworld, Ricochet Rita and the X-Babies run from Mojo's troops. They're chased into a massive building housing the entrance to the Forbidden Zone, and the ensuing fight collapses the structure, seemingly killing them, much to Mojo's dismay. However, Major Domo realizes the X-Babies have merely been dimensionally displaced, and Mojo tasks the Agent with retrieving them and forcibly signing them to long-term contracts. Meanwhile, Kitty Pryde is aboard a train bound for London, having attended a concert in Edinburgh, when the X-Babies suddenly appear. They introduce themselves and explain they've fled Mojoworld for Earth, but need Kitty's help finding Rita. Kitty realizes the best way to do that is to call on Excalibur, so they go to a local police station to call her teammates. 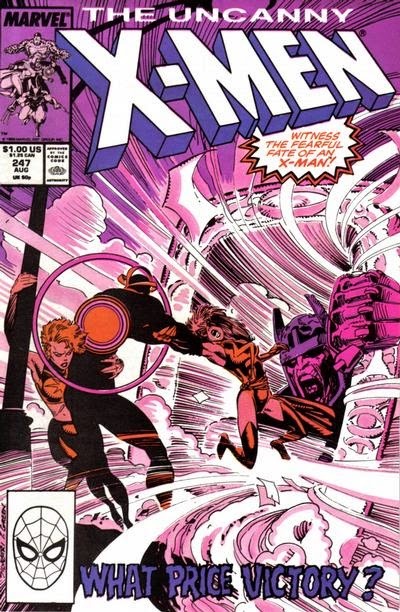 However, Kitty discovers the phone lines are out, and when Psylocke signs a document offered by the officer on duty, the officer transforms into the Agent, absorbing Psylocke and adding her power to his own. Kitty and the X-Babies escape by stealing a car and head for London, losing Havok to the Agent along the way. In London, the Agent manages to absorb more of the X-Babies, until only Storm and Longshot are left with Kitty. You can read my fellow Gentleman of Leisure Austin's X-aminations to find out all about the “Claremont quiet issue.” "Strangers" certainly had that feel. This episode came after a big climatic episode and, instead of non-stop action (like the preceding episode), it dealt with the characters and their interactions with each other. But that's not to say there weren't some big moments. I suppose the most notable moment is the introduction of a new character. 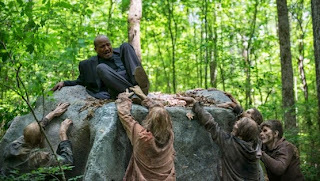 Father Gabriel Stokes is a priest who seems more-or-less unphased by the zombie apocalypse. However, he's obviously a coward which makes you wonder how he survived in this world for so long. They've made it very clear that Father Stokes is hiding something. I'm fairly sure I know what that something is but I should keep my mouth shut since I've read some of the comics. I suppose the other big revelation is that some of the citizens of Terminus are still out there (including Martin whom I thought was killed by Tyreese) and they're stalking the group. They got to Bob, who was walking by himself while being upset about something. And while it was disturbing seeing them eat Bob's leg in front him at least Rick can make good on his promise to kill Gareth with his machete. Marge kicks Homer out after he shares intimate secrets about their relationship. Realizing that his family and friends consider him dumb, Homer decides to enroll in an adult education class, but ends up teaching one on marriage instead. This is the second episode Greg Daniels wrote for the show, and it was built around the idea of Daniels trying to come up with something Homer could be really good at it (being a husband). 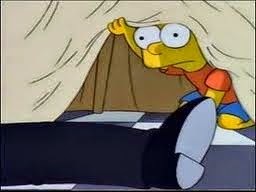 One of the secrets Homer tells his class is that Marge dyes her hair, and is, at this point, naturally gray. Though seemingly a throwaway bit like so many others, later writers will remember this fact and occasionally reference it, even building the plot of an episode ("The Blue and the Gray") around it. In a flashback story, Wolverine stalks a group of mercenaries. 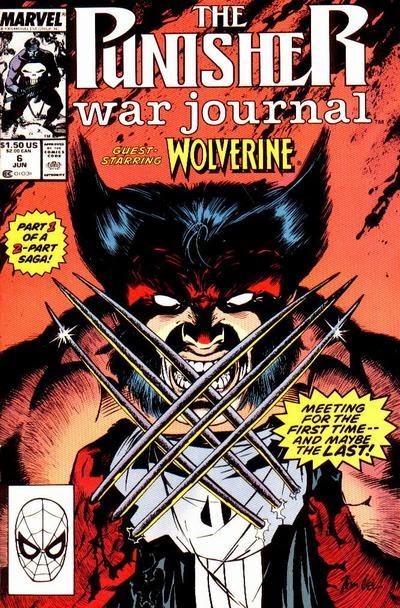 In the past, a group of mercenaries, on the run from Wolverine, rent a cabin, but he tracks them down, killing one of them then disappearing into the night. One of the remaining mercenaries, Rollins, takes first watch. As another merc, Malone, sleeps, he dreams of when this first started, back in Iraq. He wakes with a start to find Rollins dead. Malone, along with the remaining mercs Bruno and Needle, head out into the woods, recalling their job in Iraq, in which they helped a group of militants take over the American embassy, and how Malone tormented one of the female hostages until special forces retook the embassy and they fled. They suddenly realize Wolverine was amongst the operatives that freed the hostages, an operation which ended five years ago tomorrow. 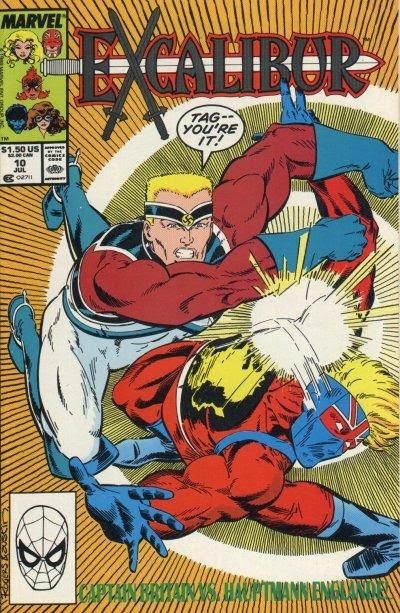 At the Tower of London, Captain Britain battles Hauptmann Englande, though Captain Britain, still suffering a decrease in his power, is easily over-matched by his foe. Below, Reichsminister MacTaggert and Callisto attempt to escape with their hostage, Brigadier Stuart, while the family of lizard-like tourists wander into the battle. As debris from the battle threatens the young Calvin, Captain Britain manages to save him, but it leaves Captain Britain open to an attack from the Lightning Squad's Shadowcat and Nightcrawler. Seemingly defeated, he musters enough strength to knock out Hauptmann Englande just as the Lighning Squad's Meggan reveals she's actually Excalibur's Meggan. She takes out the alternate Nightcrawler and rescues Brigadier Stuart as a revived Phoenix defeats the alternate Shadowcat. "On the Track of Unknown Animals / "Endangered Species"
Wolverine & the Punisher clash for the first time. Issue #6: Worried that the Punisher has been pushing himself too hard lately, his associate Microchip insists he take a vacation, and sets him up with an African expedition to the Congo in search of rumored dinosaurs, being headed up by an old friend of Microchip's. Meanwhile, in Madripoor, Wolverine encounters a transporter for a ring of poachers specializing in endangered species. After taking care of the transporter, Wolverine sets out for Africa to shut down the ring. In the Congo, Punisher acts as security for the expedition, unaware that the leader's wife, Nora, and one of the African guides are secretly poachers. When they kill a local boy who discovered their secrets and blame it on a gorilla attack, Punisher investigates and is attacked himself by a gorilla who escaped the poachers. Forced to defend himself, Wolverine oversees him attacking the animal and assumes he's one of the poachers. The two come to blows, with Wolverine seemingly slaying the Punisher and leaving him for dead. Hey, I'm back after a summer filled with me thinking about things I'd like to write about but never actually getting around to it. But, the summer vacation is over and The Walking Dead is back. So now I get to dive right back into that joy-filled world! So...The Walking Dead really loves itself some Carol, huh? She single handedly navigated a zombie hoard to Terminus, took down the walls and most everybody inside (including using one of the most unrealistic ways of igniting a propane tank I have ever seen) and saved the entire group! After all that she was welcomed back to the group with open arms. 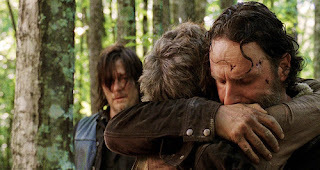 I would call this a redemption episode for Carol but I don't think that's how the show sees it. 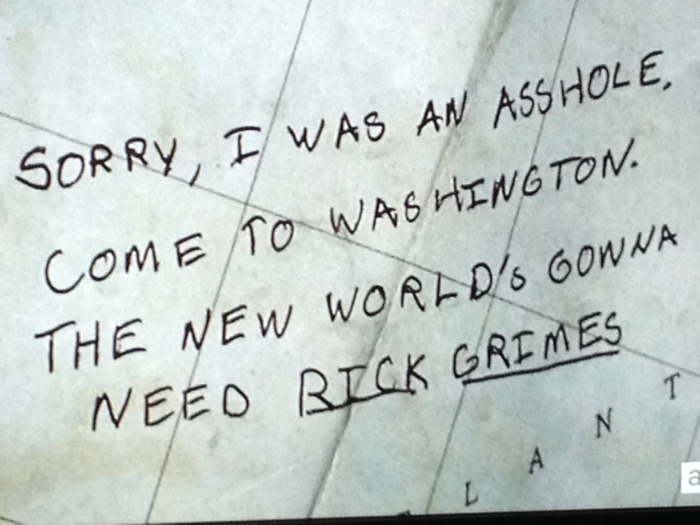 I think The Walking Dead sees this as a redemption episode for Rick. He finally gets a mean streak, realizes the “error of his ways” for “foolishly” banishing Carol and lets her back into the fold. Finally Rick has come back to his senses! At least, I think that's what they want me to think. Grampa dates Marge's mother, until she falls for Mr. Burns instead. After they attend Maggie's birthday party, Marge realizes that both her mom and Grampa are lonely, and suggests they spend some time together. Though by no means her last appearance, this is pretty much the last time Marge's mother is directly featured in a story until, arguably, season 21's "Moe Letter Blues". Most of her subsequent appearances are in the background of scenes or briefly in flashbacks. 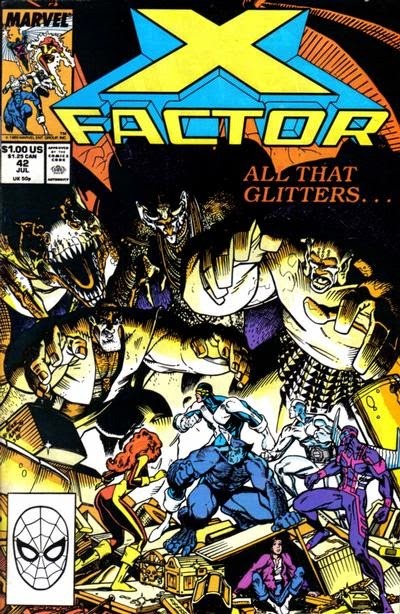 X-Factor battles the Troll Associates. In the tunnels under London, the Troll Associates gloat over the unconscious X-Factor, then leave with Thomas Jones to enact their plan to destabilize Britain's economy. X-Factor, however, quickly regains consciousness, and easily defeats the two trolls left to guard them. Above, the trolls try to force Thomas to turn the Tower of London into gold, but when he refuses and insteads transforms a dog, wounded by one of the trolls, to gold to end his suffering, they get a better idea, and attack Buckingham Palace, demanding to see the Queen. Just then, the police arrive, and their lights and sirens scare away the trolls. As they fly off, they encounter X-Factor, who manages to force the trolls out of the sky and back into the tunnels, where Thomas yells to X-Factor that sunlight will destroy the trolls. The New Mutants battle a possessed Dani with help from Dr. Strange. In Hel, Hela plots to regain lost power, using Dani. In Russia, the New Mutants return Illyana to her parents. Suddenly, Dani sees a vision of death coming for her, then collapses along with Brightwind, burning up with fever. The New Mutants rush back to Ship, who scans Dani and determines her illness is not physical but mystical in nature. He suggests the New Mutants check with Dr. Strange. Later, they arrive outside Strange's Greenwich Village home, but they are greeted by his housekeeper Wong, who tells them Dr. Strange is dead. Dr. Strange, however, is not dead, and senses something evil about Dani's illness. 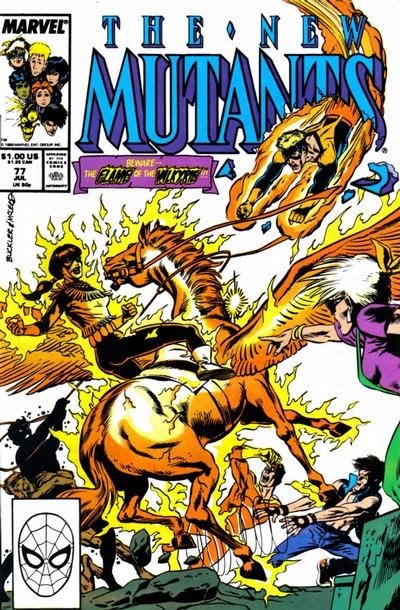 Just then, Dani cries out in pain as she and Brightwind burst into flame and begin attacking the New Mutants. Via his astral form, Dr. Strange intervenes, drawing Dani's astral form from her body. But this just allows the monster in control of her body to attack even more viciously than before. "The Day of Other Lights!" Master Mold returns, and ends up targeting Rogue. Beneath the X-Men's town, Dazzler gazes into the Siege Perilous, seeing images of her potential lives and deaths. In New York City, Nimrod busts up a drug deal, vaporizing the criminals. Back in Australia, Wolverine tells Storm he needs to take a leave of absence from the team. In Washington DC, Rogue, with Carol Danvers in control of her body, visits the Vietnam Veterans memorial, honoring her brother. In the desert just outside the X-Men's town, Havok, Longshot, Colossus and Dazzler train. At the Hellfire Club, Sebastian Shaw meets with Robert Kelly, who tells Shaw resurrecting the Sentinel program is too risky. Downtown from the club, Carol retrieves some of her things from her old apartment, and is met by Psylocke. The pair discuss Carol and Rogue's unique situation. Bart witnesses a crime while skipping school, then must decide whether or not to come forward in defense of the accused. On a particularly gorgeous day, Bart skips school but is pursued by Principal Skinner, only escaping him when he sneaks into the Quimby Compound. The Quimby/Kennedy connection really gets hammered home in this episode as Bart visits the Quimby compound, introduces himself as "Bart-Bart" to Mayor Quimby, then interacts with Arnold Schwarzenegger stand-in Rainier Wolfcastle, whose wife, like actual Kennedy Maria Shriver, Schwarzenegger's wife at the time, is named Maria. "Mexican Standoff" / "Tender Loving Lies!" 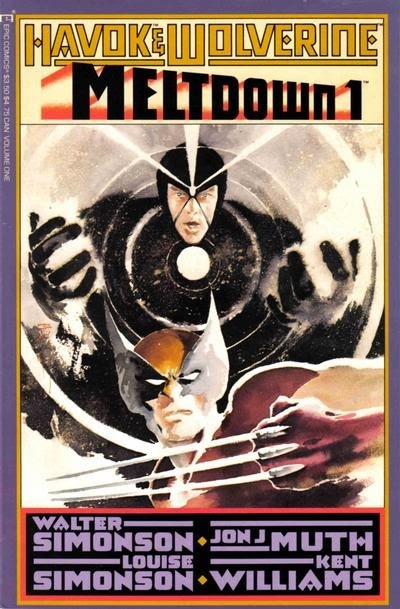 / "Duel" / "Endgame"
Havok and Wolverine are targeted by the villainous Meltdown. Issue #1: Two Russian men, Meltdown and Doc Neutron, play chess, as the nuclear facility in Chernobyl begins to melt down, an event they orchestrated. They realize they will need help for the next part of their plan. Meanwhile, Havok and Wolverine are on vacation in Mexico, unaware they are being watched. After picking a fight with the locals, they escape via a confiscated car, bringing along the female owner. However, she shoots them at close range, and when Wolverine awakens inside a hospital, he is told the bullets were laced with Bubonic plague, and that Havok is dead. An enraged Wolverine leaves the hospital and goes to Havok's grave, but when he digs up the coffin, he only finds a pinata filled with rocks. 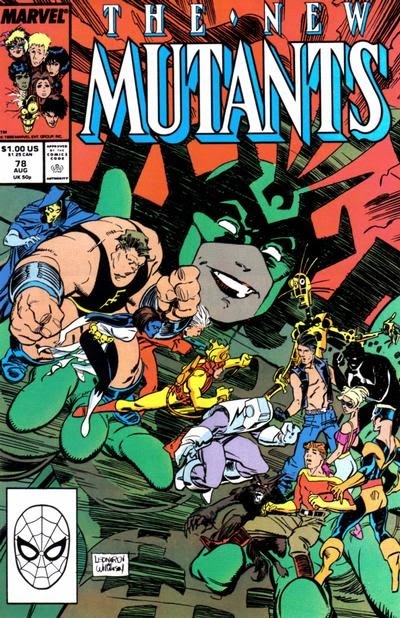 The New Mutants team-up with Namorita and SURF to battle Ghaur. Learning of the New Mutants recent discovery of the Horn of Doom, Ghaur and Llyra conspire to acquire the Horn for themselves, so that it may aid Set in dominating the Earth. 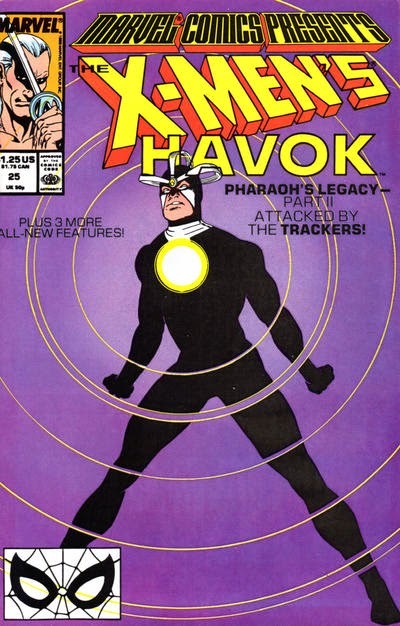 To that end, Ghaur sends three Deviant warriors, each of whom resembles one of the New Mutants, to steal the Horn from Namorita, Namor's cousin, to which he entrusted it for safekeeping. Meanwhile, the New Mutants arrive back on Earth, only to discover Ship missing from his position over the Atlantic Ocean. Leagues away, the Deviants attack Namorita in Atlantis, attracting the attention of three Atlantean mutants, dubbed SURF, who come to her aid, though the Deviants succeed in acquiring the horn and escaping. 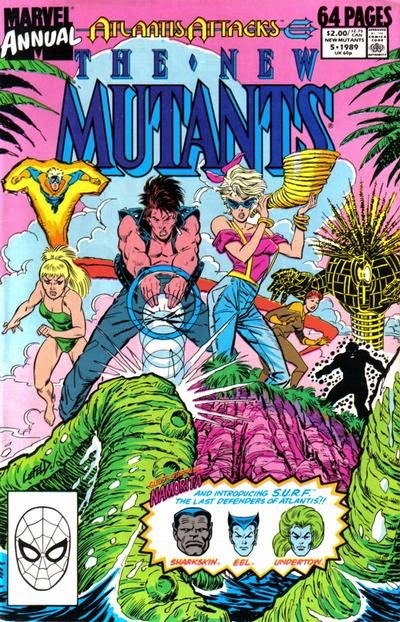 Believing the Deviants to be the New Mutants, Namorita and SURF track down and attack the young mutants. "A Change of Heart" / "A Heart Reborn" / "A Heart on Fire" / "A Heart Unleashed" /"A Heart Determined" / "A Heart Beaten" / "A Heart Defeated" / " A Heart Attacked"
Havok battles the Cult of the Living Pharaoh and their new leader. Issue #24: On leave from the X-Men, Alex Summers rescues a stranded woman from an attack by a group of heavily-armed mercenaries. He fights them off, but his car is destroyed, forcing them to walk to the nearest town. The woman introduces herself as Leila O'Toole, and tells Alex of how she escaped from a group of Egyptian cultists, who employed the mercenaries which attacked her to get her back. Just then, the pair is caught in a trap laid by the mercenaries. Issue #25: Alex blasts free of the mercenaries' trap, and he and Leila fly off in one of their vehicles. Reaching town, the pair decide to stay together, and over the next few days, draw closer to one another. At dinner, the mercenaries attack again, this time led by someone resembling the Living Pharaoh, and they manage to escape with Leila.